Automatically bulk check keyword rank on Google, Bing, Yahoo and track SERP position changes(up or down) over time. Improve your SEO efficiency. Send scheduled, very professional, stylish SERP report with intuitive charts and tables to your clients. 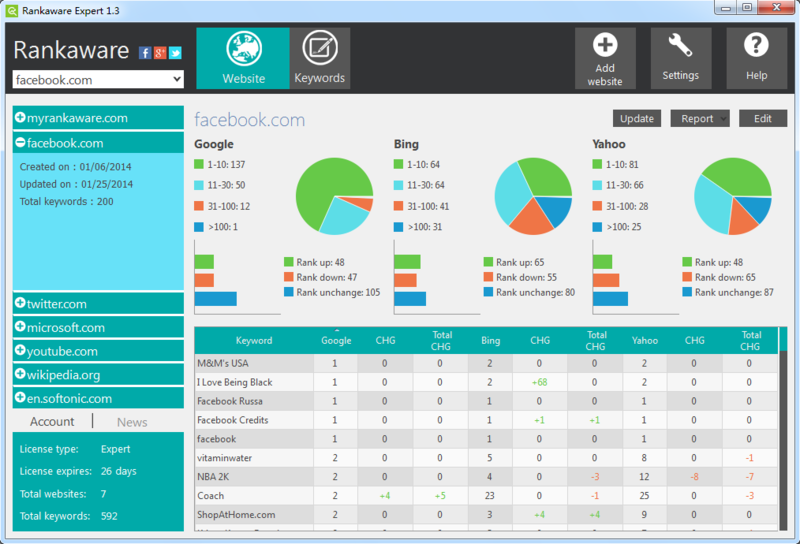 Fully customizable report with your company information. Using intelligent self-learning technology and world-class UI design, Rankaware is able to provide accurate results in well-organized structure. Enter the keywords you want to check for the URL. Please remember adding each keyword per line. 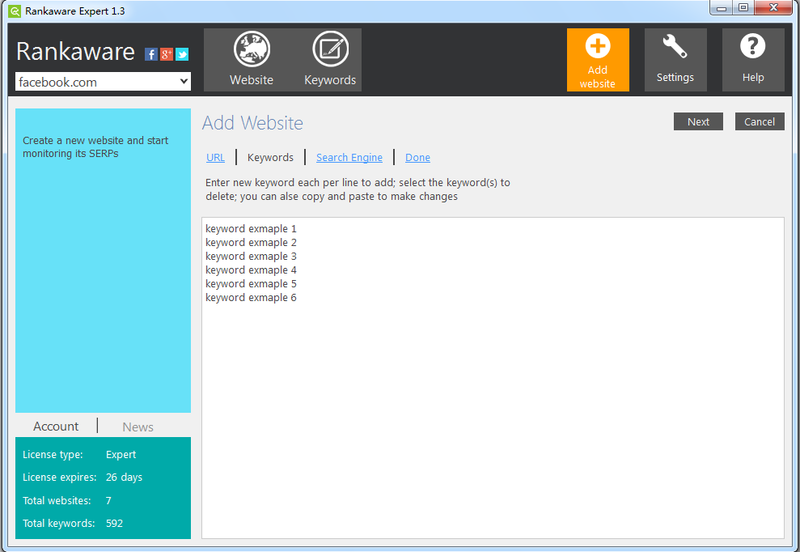 Later you can edit the keywords if you want. Please note more keywords you add, it will take longer for Rankaware to update the rankings. 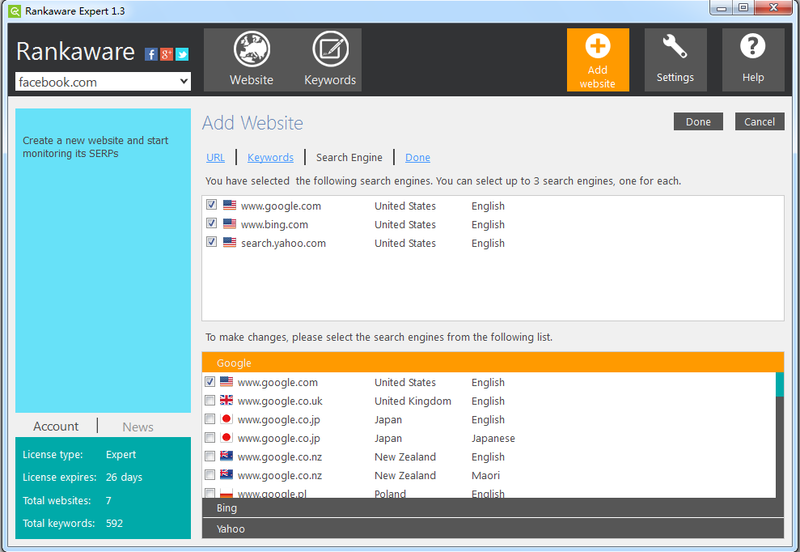 You can select up to 3 search engines, one for each. Please select the correct combination of search engine and language. 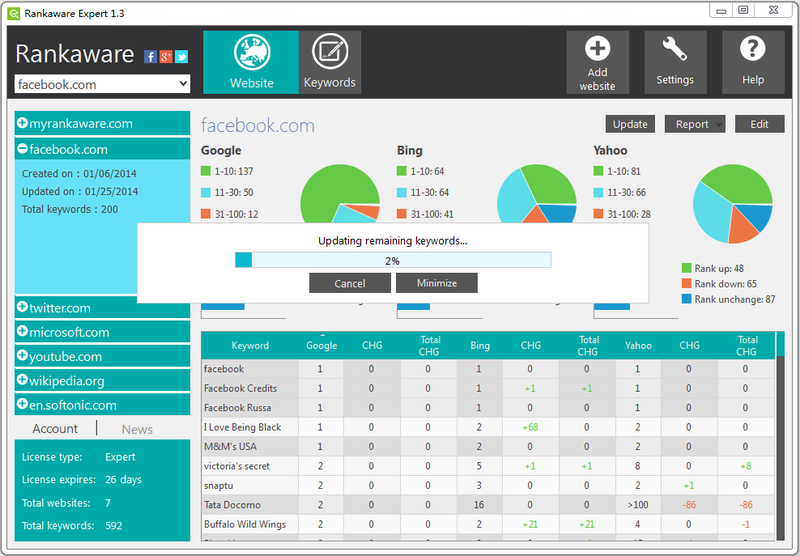 It may take some time depending on how many keywords you are about to check.